This has been me lately. I've been wondering what's left to do. What needs finishing? What needs starting? And what needs to be forgotten? Thankfully - I've gotten a lot done. There's a lot more updates to be shared when I find a minute to do so. One exciting thing is that the chair....my new love...is in! One step closer to a finished room. Obviously some artwork is needed and is on the "To-Do" list at some point. 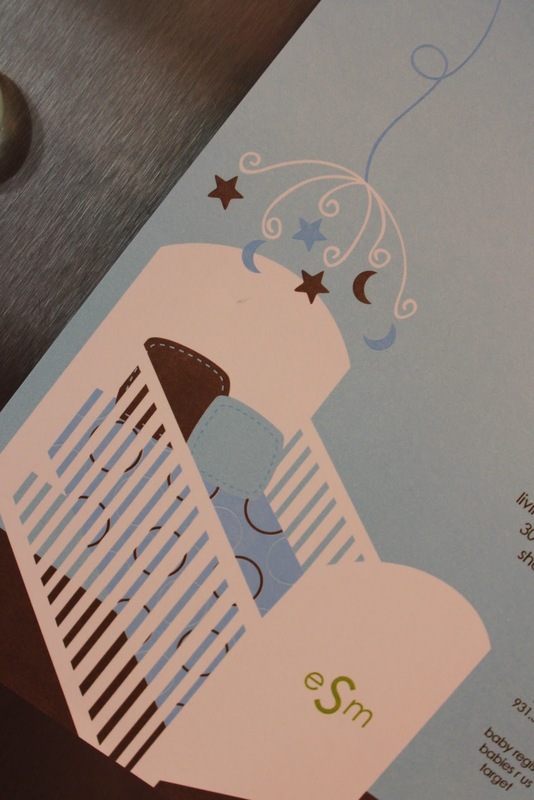 I might also be looking to change the lampshade on the lamp to make it a little more fun. It looks a little ho-hum in my opinion. Another new piece of furniture is my $25 side table. How awesome is that price??? I'm so excited about this chair. It's very comfortable and can be used in other rooms in the future which is a good thing considering how much money has to be shelled out on one of these things! I'm also glad to get a chunk of chocolate brown in the room finally. All these bright colors needed a little grounding and this has definitely helped out. I feel huge - and sloppy. These are my everyday yoga pants (non maternity) that tend to show my belly now that it's continuously getting larger and lower. 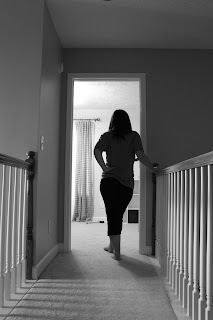 My husband's shirt is the most comfortable and I must say I get a little stressed at the thought of actually having to put on clothes to go out in public because honestly nothing is comfy anymore and the last thing I want to do is spend money on maternity clothes with so little time to go. Speaking of time to go - I only have 6 weeks left. Less than 2 months - can you believe it? We have a doctors appointment on Friday and then after that we will be seeing him every 2 weeks. I've gained somewhere between 25 and 30 pounds. It seriously fluctuates. Some days I feel more pregnant than others. Well, physically I feel pregnant all the time now. The belly is huge. Some days though I'm more hungry and tired than others. I've been mostly good humored, but I've had a couple of hormonal days thrown in there as well. 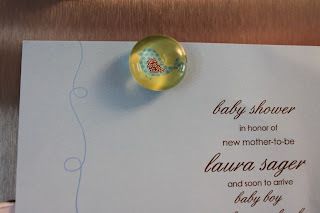 Our baby shower is this Saturday and I can't believe it's already here. Since I'm no good at photo shopping - here's the invitation in partial clips and a sneak peak at baby boy's initials just because I'm having a weak moment and can't resist. I think I have honestly stopped thinking about how much time isn't left before this baby gets here....hence the lack of belly shots. I'm excited about him, it's just the thought of actually birthing him and not knowing what the heck to do with him tends to stress me out a little bit. He's safe and sound where he is and I like it that way for the time being. When he gets here, he gets here and I'll deal with all of that then. For now - I'm concentrating on the exciting anticipation of his arrival somewhere in the future. 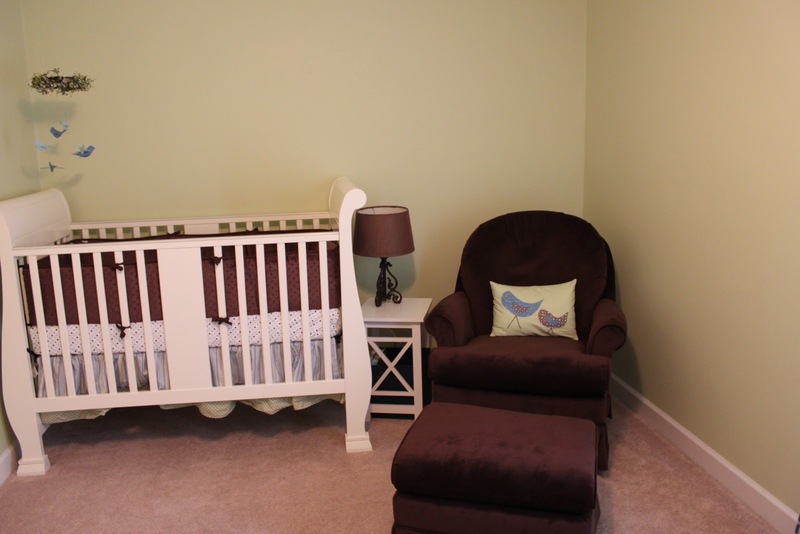 I love those pics..the nursery is SO cute! 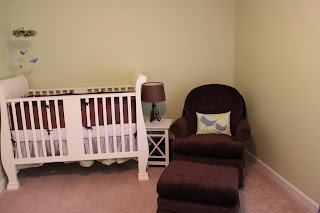 your nursery if very cute and cozy. I love your baby shower invitation!